If you’ve never made brownies in any other shape than a square or rectangle, you need to get on the brownie pie train. 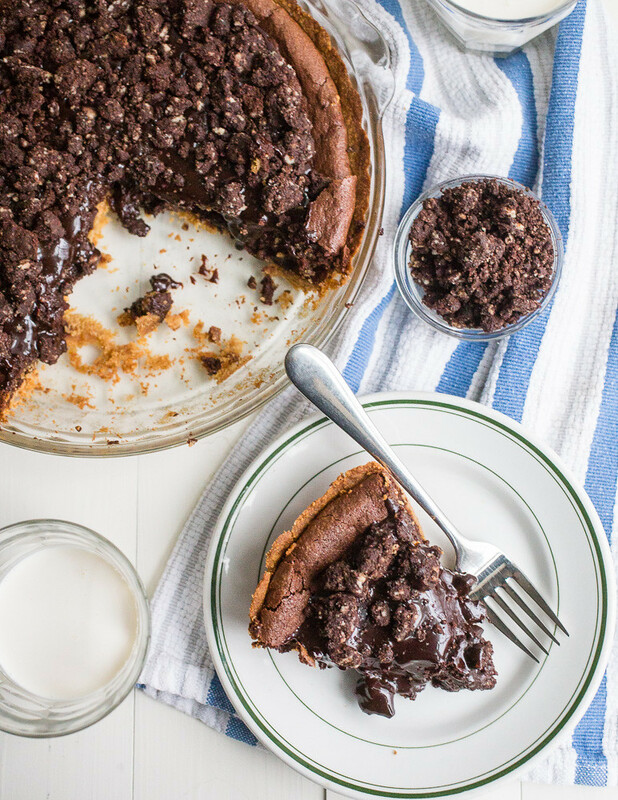 Because this Milk Bar fudgy brownie pie, with its hot fudge sauce and chocolate crumb toppings is bound to be a game-changer in your brownie world. Mark this event as one for the books. I chose pie over cake. And granted, the only thing that makes a pie a pie is that it’s held within in crust inside a pie plate. Because, really, this is just a giant brownie baked in a graham crust in a pie plate. Covered in hot fudge sauce. 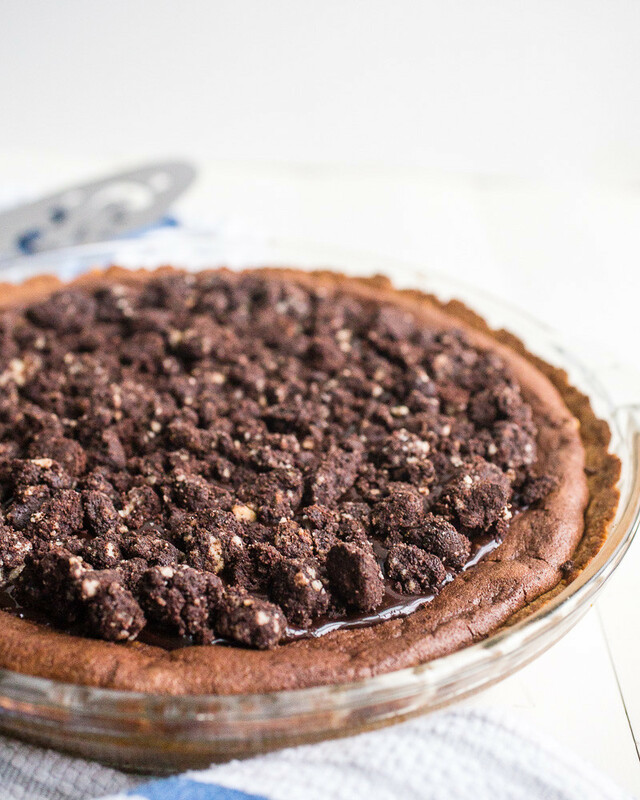 But we’ll call this fudgy brownie pie a pie because it does meet the above-noted pie standards. Because sometimes, we all need comfort food like this. And you know what? With that uneasy feeling that the world has tilted off its axis just a little since November 9th, there are certain times that just call for fudgy brownie pie. You know. Covered in hot fudge sauce. And crunchy chocolate crumbs. This is one of those times. So, why the hell not? Milk Bar's fudgy brownie pie is the new brownie sensation! With its fudgy brownie center, hot fudge sauce, and chocolate crumb toppings, this pie is bound to be a game-changer in your brownie world. To make the graham crust: Mix all of the ingredients together in a small bowl until the crumbs are moistened. 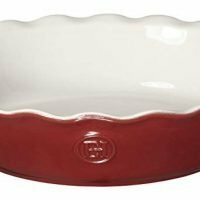 Grease a 9-inch deep dish or a 10-inch pie plate and press 1 ¼ cups of the graham mixture into an even layer across the bottom and up the sides of the dish. Reserve the rest of the graham mixture and set the pie dish aside. 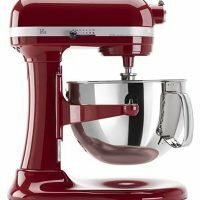 In the bowl of a stand mixer fitted with the whisk attachment, whip the eggs and sugar together on high speed for 3-4 minutes, until thickened, pale, and fluffy. Swap out the whisk for the paddle attachment and mix the chocolate into the eggs on low for a few seconds and then increase the speed to medium and beat for 1 minute - the mixture should be completely incorporated with no streaks. Scrape down the sides and bottom of the bowl with a rubber spatula. Stir in the flour, cocoa powder, and salt on low speed for about 1 minute. If there are still clumps of flour remaining, continue stirring for another 30 seconds. With the mixer on low, pour in the heavy cream and stir for 30-45 seconds, until the mixture loosens up and the cream disappears. Scrape down the sides and bottom of the bowl again. Fold in the remaining ¼ cup of graham mixture into the brownie batter. Place the prepared pie dish on a sheet pan, transfer the brownie batter into the pie shell, and level off the top. Bake for 25 minutes. The pie should puff slightly around the edges and form a sugary crust on top. If after 25 minutes, the center is still jiggly, bake for another 5 minutes. Lower the oven temperature to 300° F and wash out the mixer bowl if you will make the crumb topping next. Cool the pie completely on a wire rack. Either serve dusted with powdered sugar and ice cream, or continue on with the hot fudge sauce and crumb toppings. To make the chocolate crumb topping: Combine the flour, cornstarch, sugar, cocoa powder, and salt in the bowl of a stand mixer fitted with the paddle attachment; blend on low until fully incorporated. Add the melted butter and stir until the mixture stars coming together in small clusters. Scatter the clusters in an even layer on a parchment- or silicone-lined baking sheet. Bake for 20 minutes, breaking them up every 5-6 minutes. When finished, they should be slightly moist - they will dry and harden as they cool. Allow the crumbs to cool completely before using. To make the hot fudge sauce: Combine the chocolate, cocoa powder, and salt in a medium bowl. Heat the corn syrup, sugar, and heavy cream in a small saucepan over high heat, stirring occasionally, until the mixture just comes to a boil. As soon as it boils, pour the hot mixture over the chocolate mixture and let it sit for 1 minute. Slowly whisk the hot liquid into the chocolate mixture and gently whisk until combined, glossy, and smooth, about 1-2 minutes. Allow the sauce to cool to room temperature before proceeding. To assemble: Pour the fudge sauce over the top of the pie in an even layer, leaving a ½-inch boarder of brownie peeking out around the edges. Cover the fudge sauce with crumbs. Note: for both of these toppings, you can add less if you prefer. The fudge sauce will keep in the fridge for a few weeks; the crumbs, stored in an airtight container, will keep in the freezer for up to 1 month. I reserved about 1 cup of the crumbs for another use and stored them in the freezer. Serve the pie right away or chill in the fridge for an hour or so. Storage: Leftovers will keep, wrapped tightly, in the fridge for 3-4 days or in the freezer for up to 1 month. 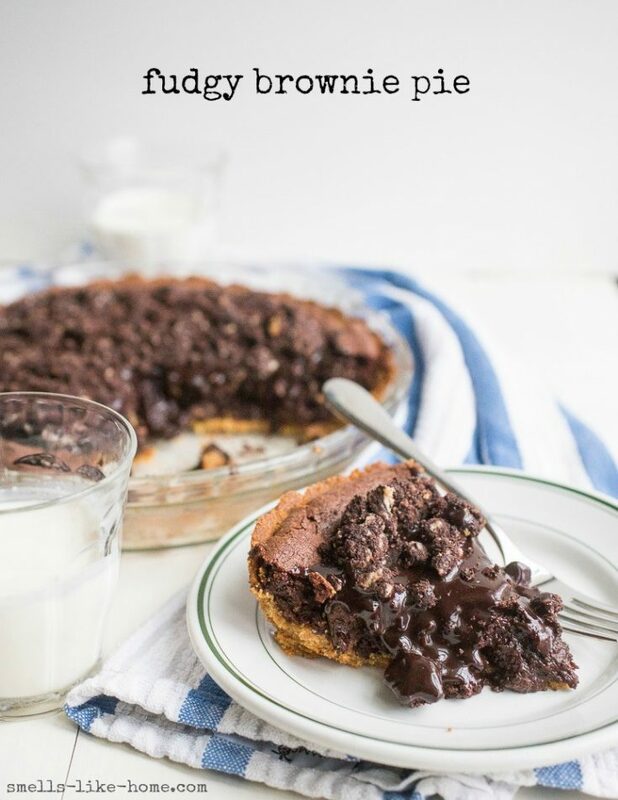 You can absolutely make this fudge brownie pie without the fudge or the crumbs as toppings, and instead go for a dusting of powdered sugar and maybe a scoop of vanilla or coffee ice cream. You CAN do this. But, if you're going for the brownie pie, why not just go all in? What do chocolate crunchies taste like? Do you think they would do well in ice cream? So sorry for my late reply here, Stephanie! I liken these crunchies to the little chocolate crunchies between the layers of ice cream cakes from Carvel, Friendly’s, or Baskin Robins, if you’re familiar with any of them. They keep their crunch when sandwiched within cake frosting so yes, they would do really well in ice cream and I have big plans for adding them to ice cream this summer. I hope you love them!! Tara, this looks AH-MAZING! 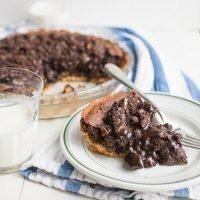 With the Gonzaga/UNC Tar Heels game on tonight, I was going to bake up a recipe for Tar Heels Pie (basically a brownie baked in a pie crust) if the Tar Heels won. I live in Tar Heels country so you can imagine how crazy it will be if they win tonight. 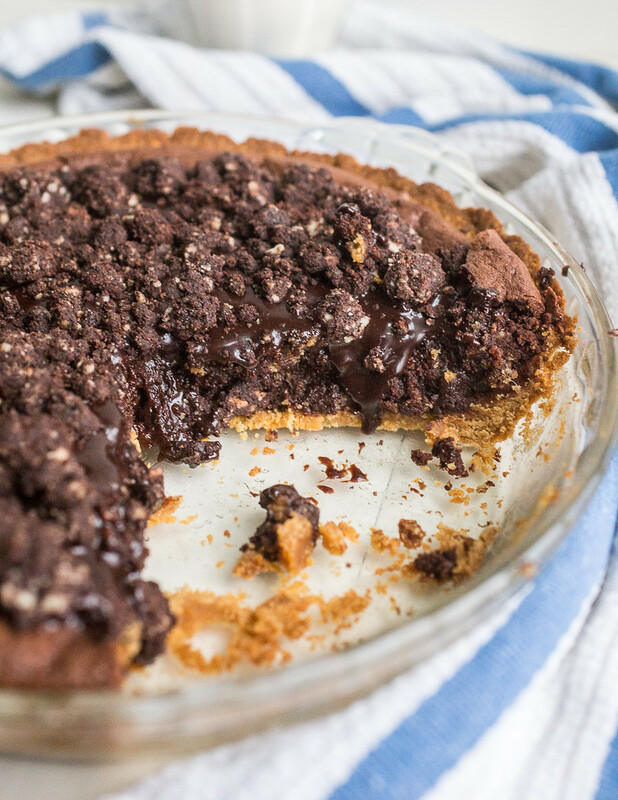 This recipe jumped off the page because it’s Tar Heel Pie on STEROIDS. Even if the Tar Heels lose tonight, I will not need a special occasion to make this. There are plenty of birthdays this month to bake for! Thanks for sharing this recipe. 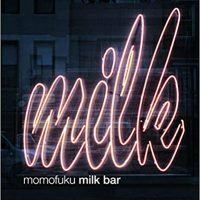 I have the Milk Bar cookbook too – how did I miss this recipe?! Hi Liz! Thank you for your sweet words! Good luck to the Tar Heels tonight! Looks like a close game so far! Yes, you must make this pie. And no, you don’t need a reason to but sharing something like this will make lots of people happy. This pie is a mish-mosh of a few recipes from the Milk Bar book. The base is the brownie pie which, I think Christina Tosi giving some recommendations for additions to it, including the fudge and chocolate crumbles. I went a little over-the-top with the crumbles but nobody complained here. If you’re a chocolate fan, I know you’ll love it. Please come back and let me know how it turns out for you!